I know this is technically two books, but Vol. 2 is a continuation of the first and can really be combined into one. It's basically a collection of talks by Andreas Antonpoulos in written and slightly edited format and organized in a way that makes it easy and enjoyable to read. 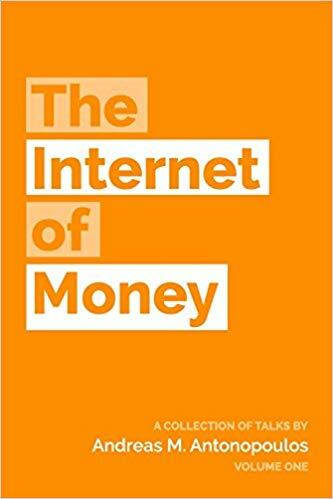 The book is mainly about Bitcoin where Andreas explains in a clear, non-technical way what it is, potential applications of the technology, and why we should all care. He gave really good practical examples why this technology is important. I also like some of the history lessons about certain technologies we now heavily rely on that most people thought were crazy at first and would never work or never scale to be truly useful (such as credit cards, automobiles, and of course the Internet itself). I actually started reading this book some time ago (I think in 2017) then stopped as I got distracted with other shiny new books. But I picked up where I left off late last year and got really engaged and learned quite a bit about things I know will come in handy in life. This book talks a lot about behavioral psychology and there are many ideas here that seem counter-intuitive at first. But after his explanation why certain tactics work and others don't, they do make a lot of sense. The author was a former FBI hostage negotiator so you'll read some pretty crazy stories here. His techniques can be applied in all kinds of situations, from hostage negotiations where lives are at stake to more normal scenarios like negotiating a salary. One of my favorite books, Antifragile, was written by this same author. I like his no-nonsense writing style. 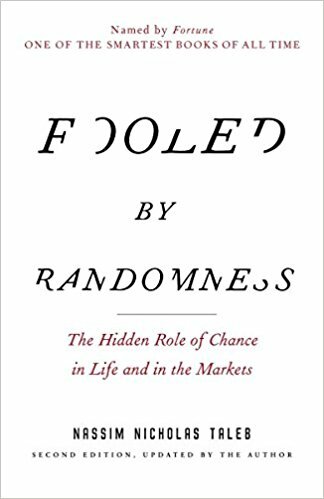 Fooled by Randomness is actually his first published book but he was most famous for his second one, The Black Swan. 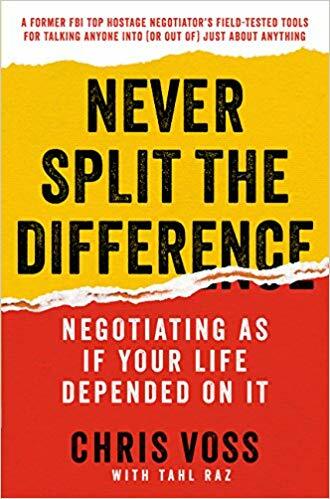 This book covers how we tend to make decisions which are often irrational (and more emotional) and biases we all fall for, such as survivorship and hindsight biases. It provides plenty of good examples on how we tend to evaluate risks and why we should be more skeptical of claims made by so-called "experts." Just because someone is currently super-successful and had made many accurate predictions in the past, it doesn't mean he's actually very smart and would be right again in the future. Maybe he just got extremely lucky, like someone winning the lottery twice. Many things that happen in our lives are simply random. One thing that I now always keep in mind after reading this book is how to look at risks when making decisions. There are "good" risks that have relatively low downside and potentially huge upside (asymmetric returns) and "bad" risks that could completely wipe you out if you turn out to be wrong because your risked too much. Often times, it's simply reminding yourself to not be greedy and keeping in mind potential "black swan" events. I know the title sounds cheesy and will make some people roll their eyes but this is actually a really good book. 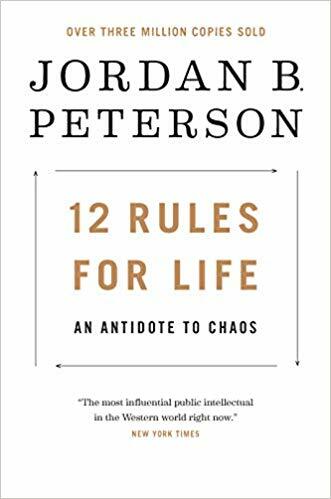 I think I first heard about Jordan Peterson from a podcast I regularly listen to. Jordan is a clinical psychologist and this book is designed to provide wisdom and guidance on how to live our lives. He goes pretty deep going over each rule. He uses examples from history, philosophy, religion, and science to get his point across. 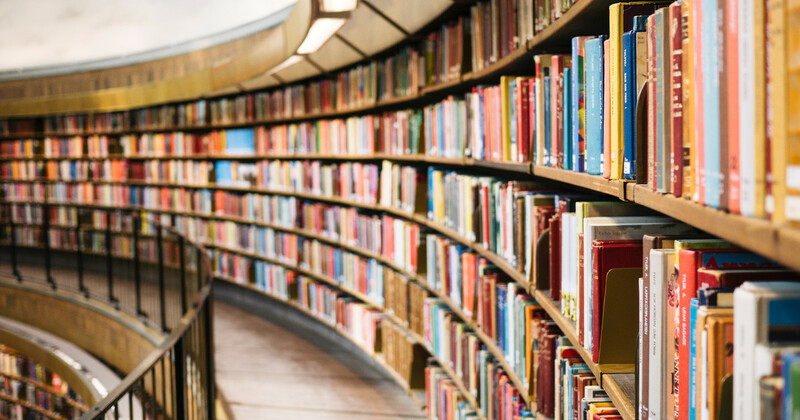 There's something here for everyone, and if you're currently going through some tough times, this may just be the book you need to help get you through it. 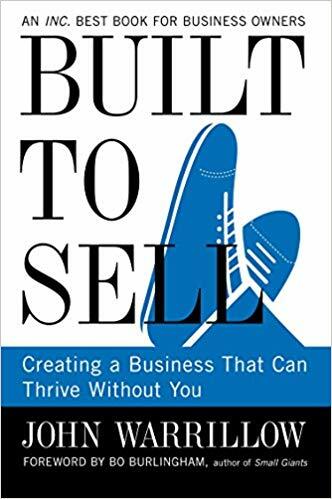 Even if you have no plans whatsoever to sell your business, this is still a really good book to read to help you think through ways on how to make your business more valuable and manageable. When my co-founder and I started our tiny app business, Highview Apps, our long-term goal for the business is to get it to a point where it's mostly automated and can be run by a very small team (no more than 5 people), requiring very little to no input from us. To reach this goal, we feel it's important to think about what type of products to offer (e.g. avoid those that involve high-touch sales and high-maintenance due to heavy customization for each customer even if it makes you more money in the short term), having repeatable/teachable processes in place, and having a low overhead/high profit margin so the business has a good chance of surviving the bad times. The author used a fictional story of a design agency owner to convey the ideas in his book, which surprisingly worked really well. He talked about the issues businesses of this type typically run into (e.g. cash flow, bad customers, the majority of the revenue coming from a handful of customers) and how the business owner pivoted and turned things around to not have to worry about these issues. The story went on up to the point where the fictional business owner was finally able to sell his business at a price he was happy with. There were quite a lot of takeaways here as well, such as how to find a broker, things to watch out for, what to expect during the due diligence period, and how to make the announcement to your employees that you're selling the business and what incentives to provide them so they stick around during and after the sale. This is a book that was on my reading list for a while and when I finally got to it , I couldn't put it down! I'd say this is probably my favorite out of this list. 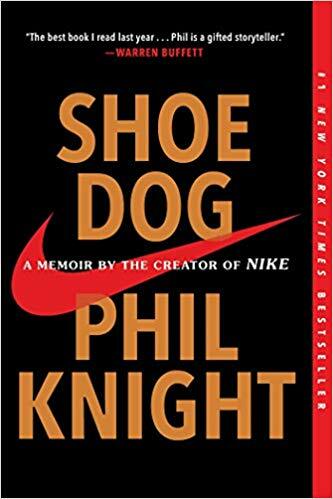 Phil Knight was the founder of Nike. Everyone of course knows about Nike but not many have probably heard of its founder and its backstory. Phil started the company back in the early 60s after graduating from college and doing a round-the-world trip. As a traveler myself, it was fascinating to read about his travel experiences then and his description of some of the cities he'd visited that I've also been to and how things were so different back then. During his travels, he made a stop in Japan and found this shoe manufacturing company that made these high quality shoes at a low price. That's when he got this idea to start this company to sell shoes, sourcing them from this Japanese manufacturer. He called his company "Blue Ribbon." From there, he tells his story on how he grew it, how he managed the company, the people he hired, and all the challenges he faced. There were many times when the company almost shut down due to lack of capital even though the shoes were selling like hot cakes (this was a time before venture capital is a thing). I just love the story. It's a story of how a tiny startup took on the giants (Adidas and Puma). It's a story of struggles, friendships, loyalty and betrayal, and of course lawsuits. There were parts that got me teary-eyed, like when the parents of one of his early employees who don't have much themselves basically loaned him their entire life savings to help keep the company afloat. I'm quite impressed how he remembered all the little details. This book could really make for a good movie or TV show. Very highly recommended.